← Trump Runs for President; Insults Mexicans. What Else Is New? It is not a secret that Americans love Latin America — especially if they can enjoy an entire continent while avoiding the annoyances and perils of actually going there. 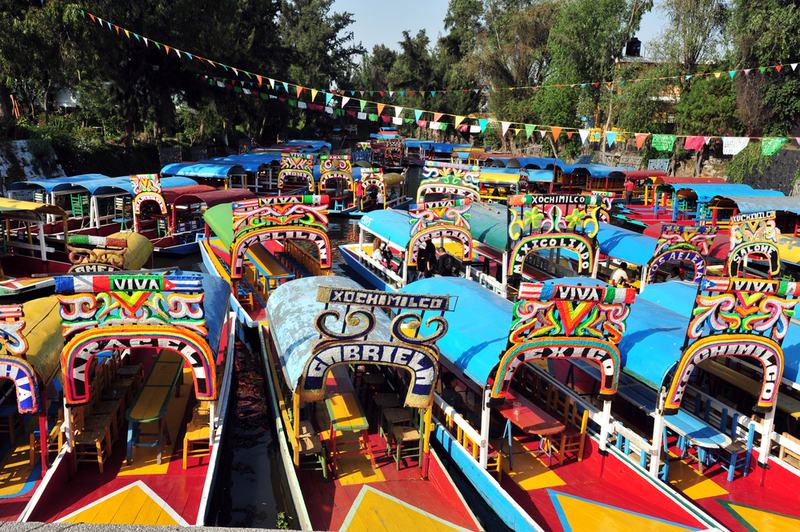 Enter Xochimilco-Cancún, a smaller-scale recreation of the original Xochimilco, the famed floating garden in Mexico City, that caters to Cancún tourists — basically Americans who could not bother to experience the annoyances and perils of actual Mexico City. By paying a “modest” fee of $80, tourists in Xochimilco-Cancún can ride a trajinera, as mariachis play music alongside and feast on Mexican delicacies and drink beer and tequila like there is no tomorrow — all this from the comfort of Cancún, a Mexican city which looks nothing like Mexico. This entry was posted in Latin America, Mexico, Stupid propositions, Why I Love Mexico. Bookmark the permalink.